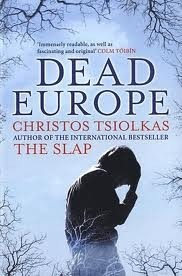 Dead Europe is a book that is both interesting and yet somehow unfulfilling at the same time. The book began strongly and Isaac's character came across well. I also enjoyed the interspersions of the second narrative. Tsiolkas is aiming for a kind of magical realism and that worked in the second narrative, but felt a little forced and unbelievable when it bled into Isaac's storyline. This book has some interesting things to say about religion and persecution, but it paints a bleak picture and the ending feels unnecessarily cynical and a tad sudden and rushed after what has been a long build up. In conclusion, this is probably one of those books that a reader should pick up, but it will not necessarily be one every one of those readers will enjoy.